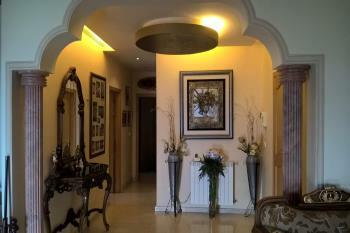 A well presented unit, 300 m2 in area, as new 4 bedrooms which 2 are master bedrooms. All with built in wardrobes and comfort comes with 2 loungerooms & Dining rooms. Even has a maid room, solid timber kitchen and the apartment is with fully equipped air con & chaufage. Balconies all around the unit, large luxurious foyer. The unit is currently vacant and is also one of the largest units in the building. Close to all amenities luxury plus, top investment buy now and save, owner wishes to sell, will make it easy for you, the sale payments can be either in $USD in Lebanon or equivalent amount in $AUD in Australia, or by swapping property between Lebanon & Australia, with the difference amount payment, just discuss the details with us, call us to discuss. All other specialty shops, top position, great design, this area is in top demand in suburb and surround, district views, cafes, restaurants, good transport, close to shopping centre, top street position.